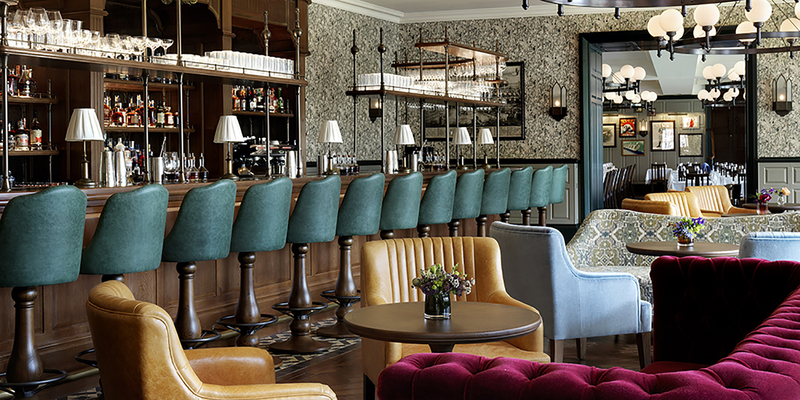 Cambridge, England, 2018-Aug-22 — /Travel PR News/ — Autograph Collection Hotels, Marriott International’s distinctive collection of one-of-a-kind, independent hotels, announces the addition of UNIVERSITY ARMS, CAMBRIDGE to its portfolio of more than 150 extraordinary hotels around the world. UNIVERSITY ARMS, CAMBRIDGE is a landmark hotel located in the historic centre of Cambridge overlooking Parker’s Piece. First opened in 1834 as the city’s original hotel, it has had a complete £80m transformation following a unique collaboration between the architect John Simpson and the interior designer Martin Brudnizki. Independently owned and managed, the intention is to create a hotel that matches the city’s heart and style – ambitious, beautiful and full of life. The hotel is quintessentially English and the literary and academic spirit of Cambridge one of its defining characteristics. The redevelopment has been designed by the nation’s foremost classical architect, John Simpson, and includes the replacement of the building’s 1960s and 1970s extensions with an attractive, new classically designed building that fits with Cambridge’s better-known architectural heritage and buildings in the immediate vicinity. The hotel’s interiors are designed by Martin Brudnizki, arguably one of Europe’s foremost leading interior architects. The hotel comprises 192 beautiful and ‘playfully’ designed new hotel rooms and suites, a destination restaurant and bar, library, underground valet car parking and fitness facilities. Rooms and suites are light and breezy with a relaxed, eclectic feeling, and offer views of the city and Parker’s Piece. Hints of Cambridge Blue, yellow and red enliven each space, while some are paired with a traditional bookcase room divider, with private library curated by Heywood Hill, helping to retain a classically Cambridge feel. All accommodation comes complete with bespoke furniture and statement chandelier lighting. Many suites on the top floor have access to private balconies overlooking Parker’s Piece, with bathrooms located inside the original domed turrets. For a moment of calm and reflection, the library pays homage to the destination of Cambridge and its academic heritage. Curated by Heywood Hill – one of the leading bookshops of London, the space will be a place to escape and relax, filled with books from renowned authors, many with suites at University Arms named after them. Bookshelf walls, traditional timber panelling and an original, wood-burning fireplace creates the perfect welcome for those searching for a cosy corner away from the hustle and bustle of Cambridge city life. An eclectic mix of deep sofas and cosy armchairs ensures optimum comfort. The solid-wood parquet flooring is elegantly sophisticated, whilst standing tassel-trimmed lamps and a statement chandelier ensure a comfortable and beautifully lit atmosphere. The library flows through to the bar, featuring bold marble patterned wallpaper. Reminiscent of antique book covers, this design flourish reflects Cambridge’s heritage as an academic institution. An impressive dark wood bar is the backdrop for a diverse range of seating and tables offered to guests – an ideal place to sit back and relax with delicious cocktails and bar snacks. Traditional loose rugs paired with statement lighting and classic bead ceiling creates a welcoming atmosphere. A final nod to the iconic university can be spotted above the bar with the inclusion of a traditional crest, contrasting against the glamour of the brass bar detailing. Inspired by the communal dining halls synonymous with Cambridge Colleges, Parker’s Tavern is a quintessential English brasserie on the ground floor of UNIVERSITY ARMS. The 132-cover restaurant offers canteen-style seating with a mixture of free-standing dining chairs and benches, all finished in red and mustard yellow leather and dark timber. The Cambridge Blue wall panelling, traditional solid-wood parquet flooring and original stained glass windows with crest detailing are strongly reminiscent of the traditional architecture of Cambridge University Colleges. Head chef Tristan Welch has designed every dish to be a whimsical re-imagining of a British classic, sourced from field, fen and England’s seas. Autograph Collection Hotels, part of Marriott International, Inc., celebrates individuality by curating one-of-a-kind travel experiences at more than 150 lifestyle hotels in nearly 30 countries and territories, among the world’s most desirable destinations. Exactly like nothing else, Autograph Collection properties are hand selected for their rich character and uncommon details. A personal realization of an individual founder’s vision, these hotels are defined by unique design, differentiated guest experiences and their meaningful role in locality. Autograph Collection Hotels is proud to participate in the industry’s award-winning loyalty program, Marriott Rewards® which includes The Ritz-Carlton Rewards®. Members can now link accounts with Starwood Preferred Guest® at members.marriott.com for instant elite status matching and unlimited points transfer. For more information, please visit www.autographhotels.com, and explore our social media channels on Instagram, Twitter, and Facebook to learn more about championing the independent spirit that is #ExactlyLikeNothingElse. This entry was posted in Hotels, Travel, Travelers and tagged Autograph Collection Hotels, Cambridge, Marriott International, UNIVERSITY ARMS. Bookmark the permalink.